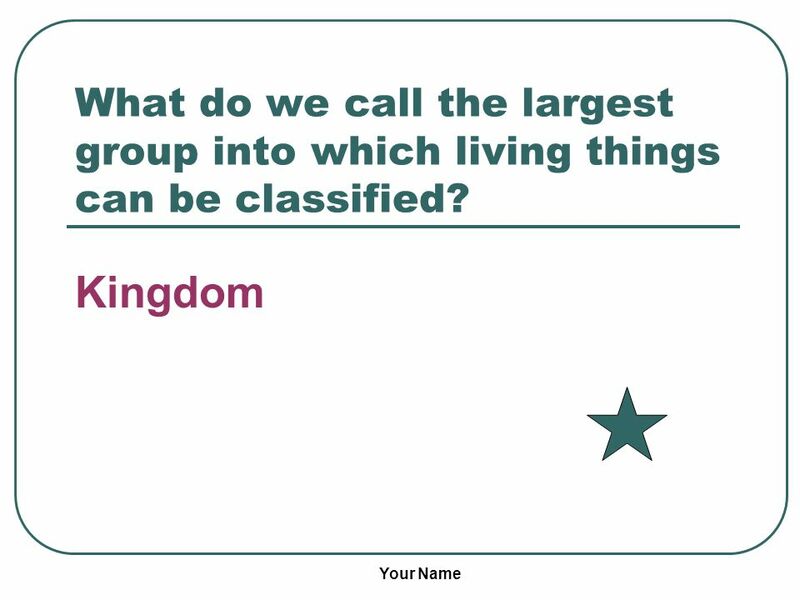 3 What do we call the largest group into which living things can be classified? 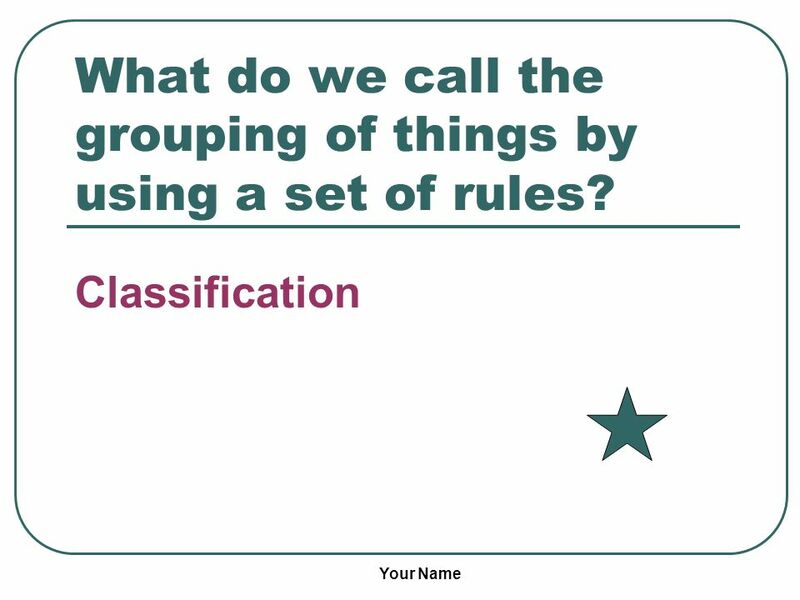 4 What do we call the grouping of things by using a set of rules? 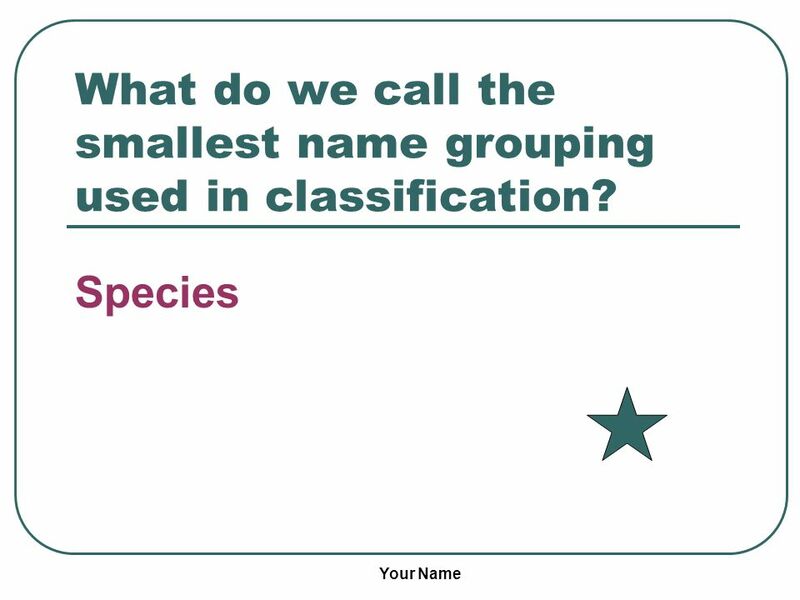 5 What do we call the smallest name grouping used in classification? 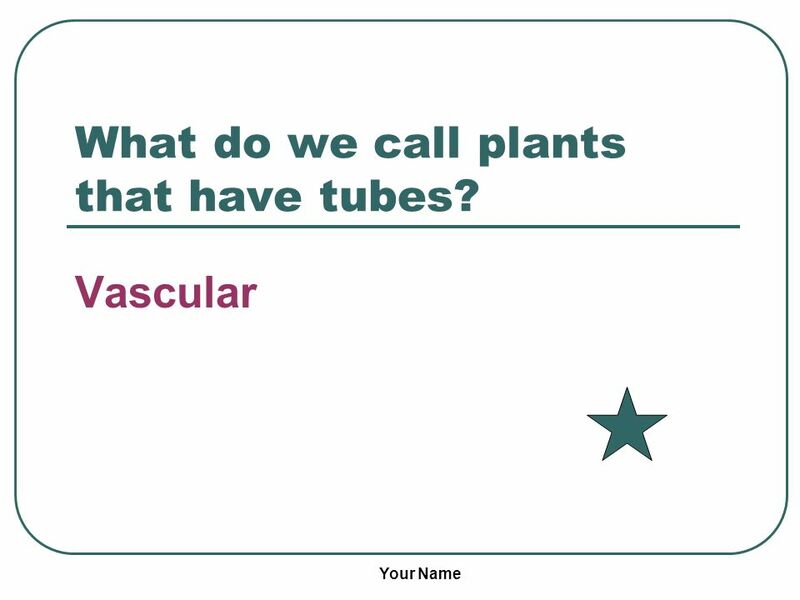 6 What do we call plants that have tubes? 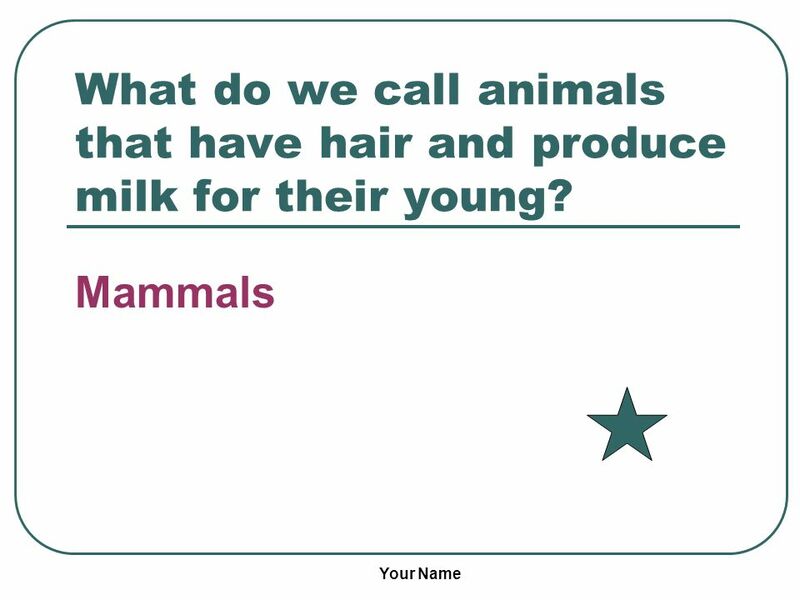 7 What do we call animals that have hair and produce milk for their young? 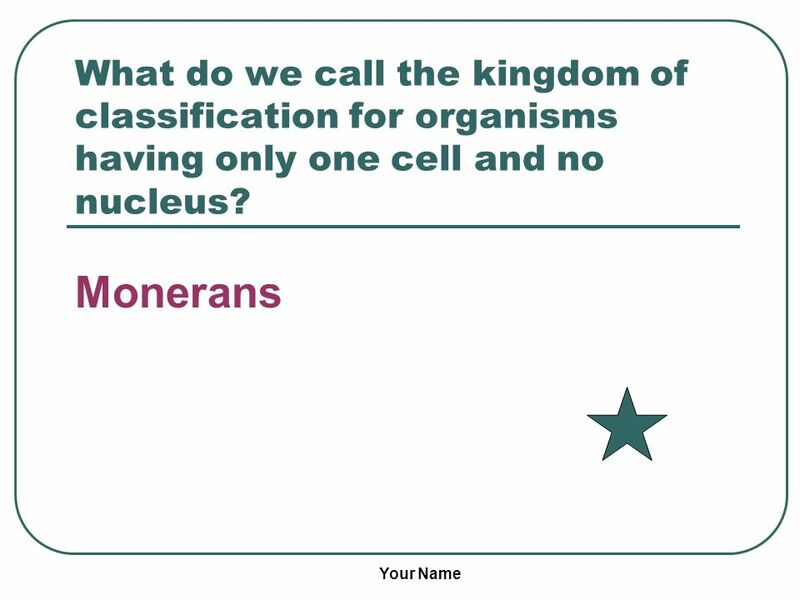 8 What do we call the kingdom of classification for organisms having only one cell and no nucleus? 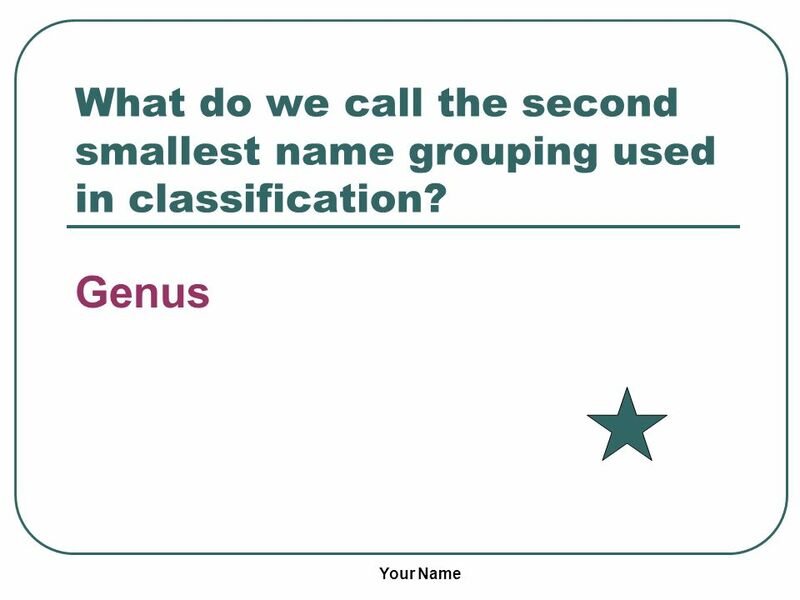 9 What do we call the second smallest name grouping used in classification? 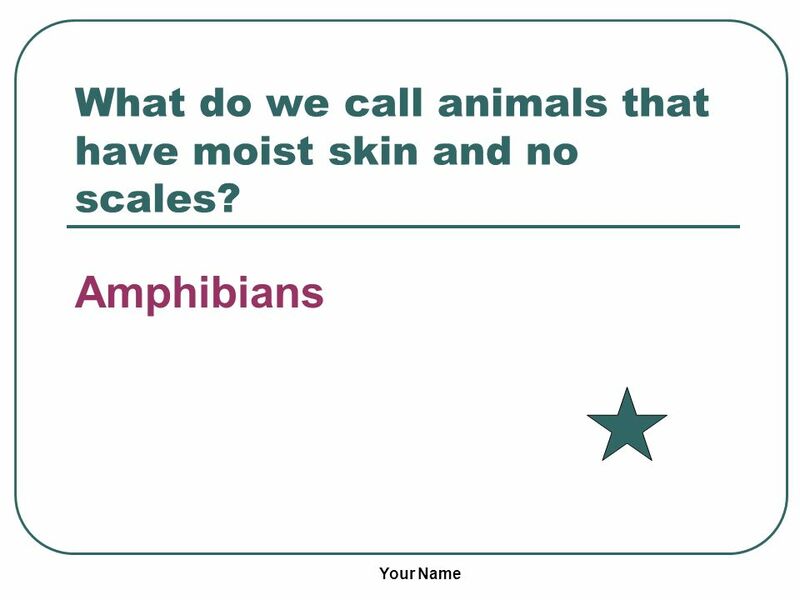 11 What do we call animals that have moist skin and no scales? 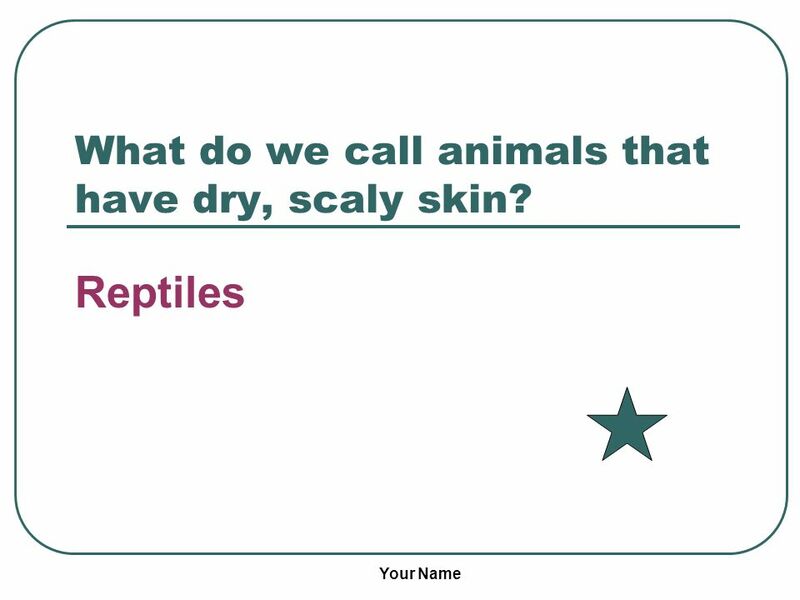 12 What do we call animals that have dry, scaly skin? 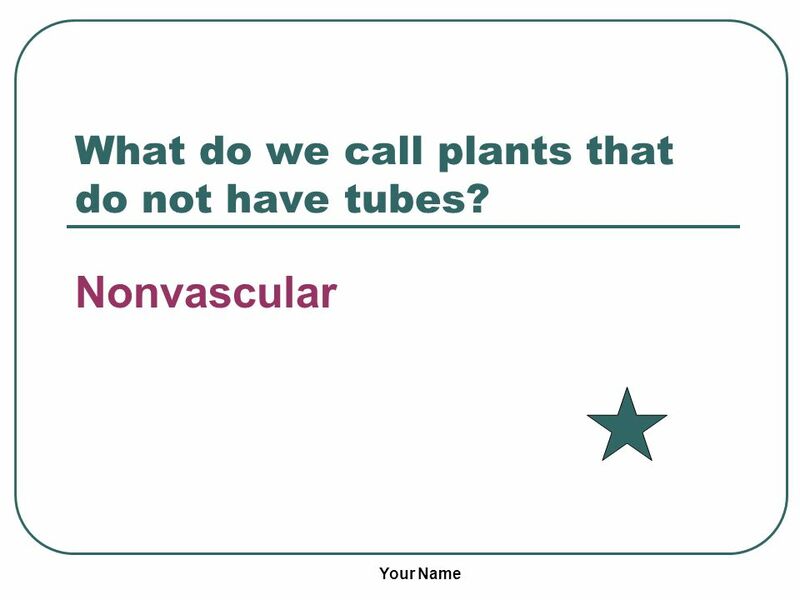 13 What do we call plants that do not have tubes? 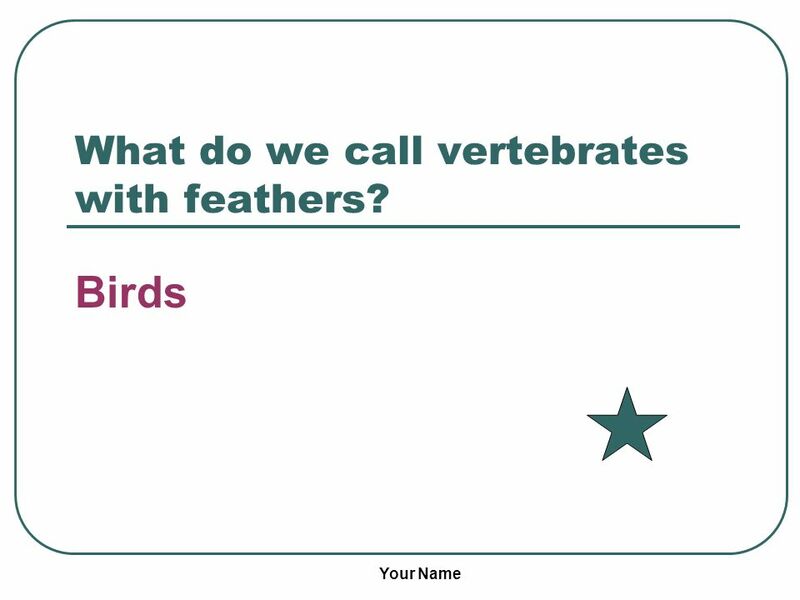 14 What do we call vertebrates with feathers? 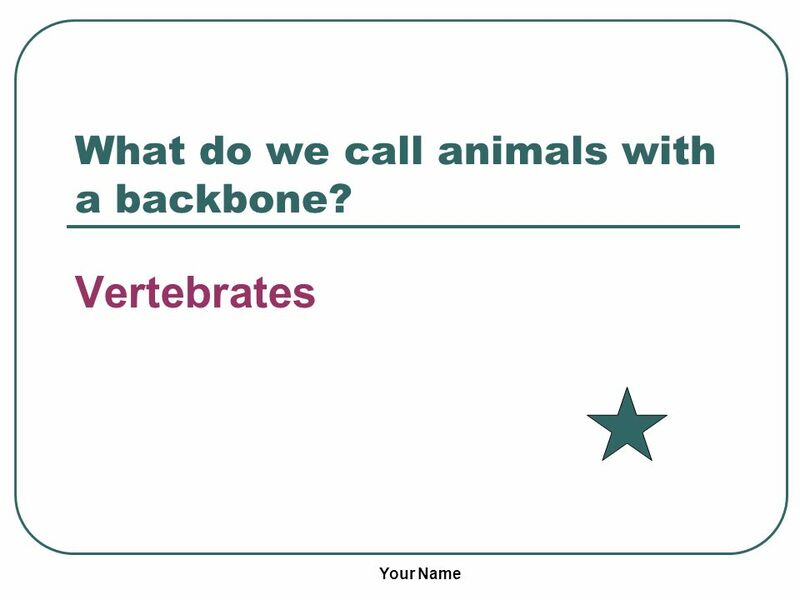 15 What do we call animals without a backbone? 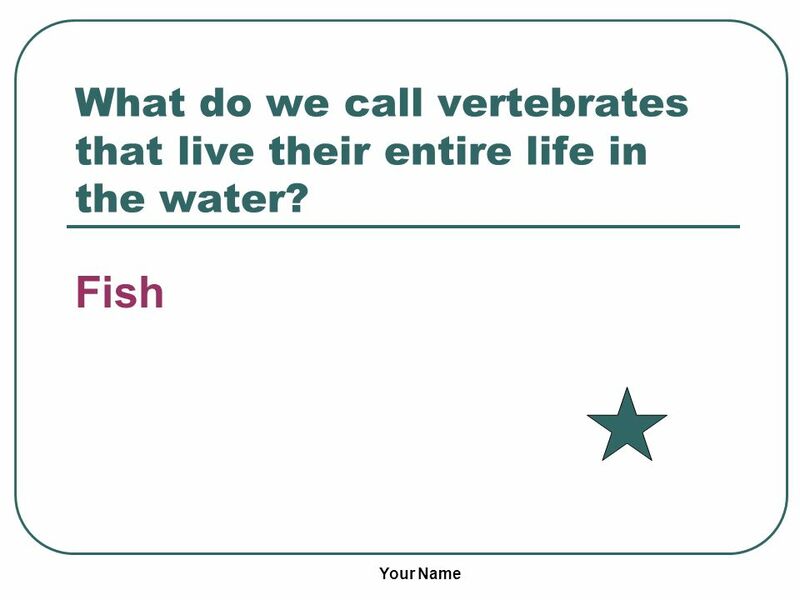 16 What do we call vertebrates that live their entire life in the water? 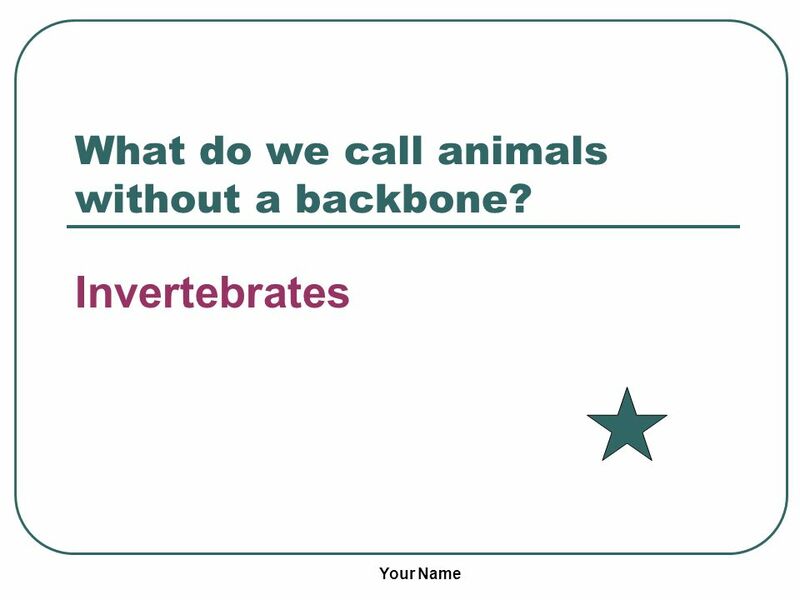 17 What do we call animals with a backbone? 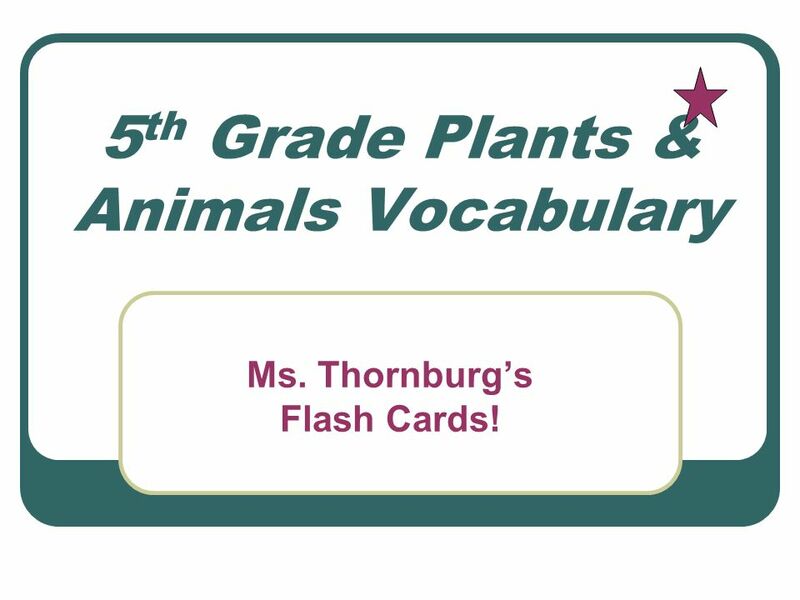 Download ppt "5th Grade Plants & Animals Vocabulary"
How do we classify vertebrates? 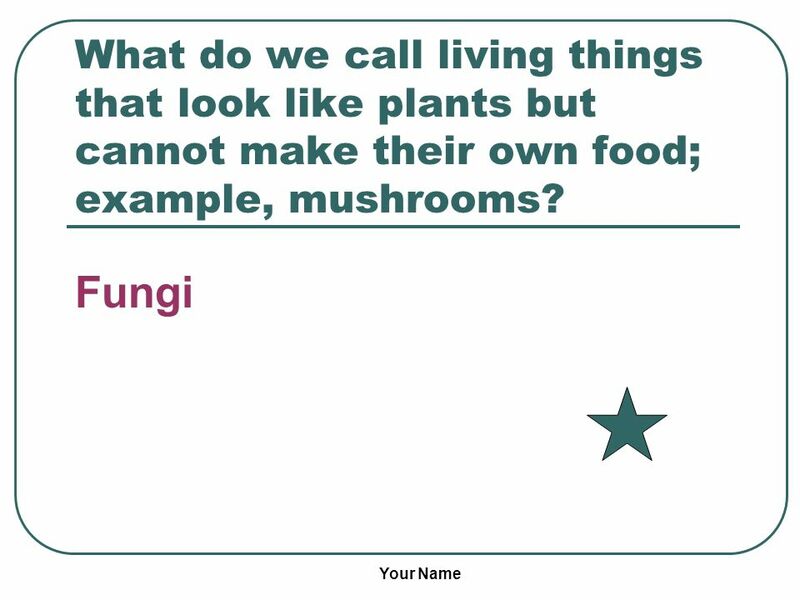 Jeopardy Game Cells/Living Systems. 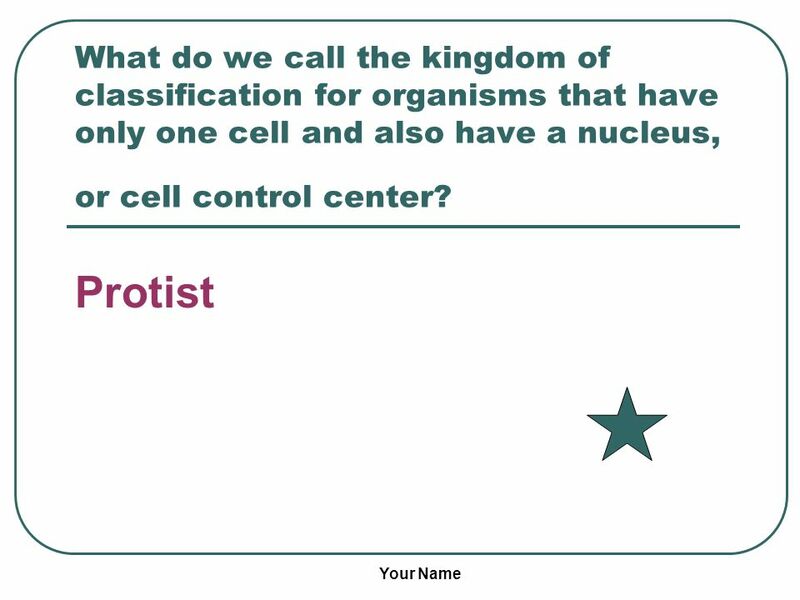 Cell Parts Animals 10 pts 20 pts 30 pts 40 pts 10 pts 20 pts 30 pts 40 pts Plants 10 pts 20 pts 30 pts 40 pts Random. A LL ABOUT THE FIVE KINGDOMS By haylie,piper and justice. Jeopardy ClassificationDifferencesExplainWhat is Why Q $100 Q $200 Q $300 Q $400 Q $500 Q $100 Q $200 Q $300 Q $400 Q $500 Final Jeopardy. Who wants to be a Student Millionaire? Hosted by Mrs. McNutt and Mrs. Brown. Diversity of Organisms invertebrate kingdom vertebrate Diversity of Organisms vascular nonvascular fungus bacteria protist.